Working with film loaded into old medium and large format film cameras, I've been endeavoring to capture more than just an image of my collaborators, I'd like to think I capture their personalities, their spirit and their individuality. I utilise 120 film in Hasselblad medium format cameras (a 500C and a Flexbody), large format cameras including a 4x5 Graflex Speed Graphic matched with either an 1860s French lens or a WW2 aerial photography lens, or 10x8 litho film loaded into a 10x8 Linhof studio camera with whatever dodgy large format lens I can mount on the front (Dallmeyer 2A and 3B included) that will work for me on the day. 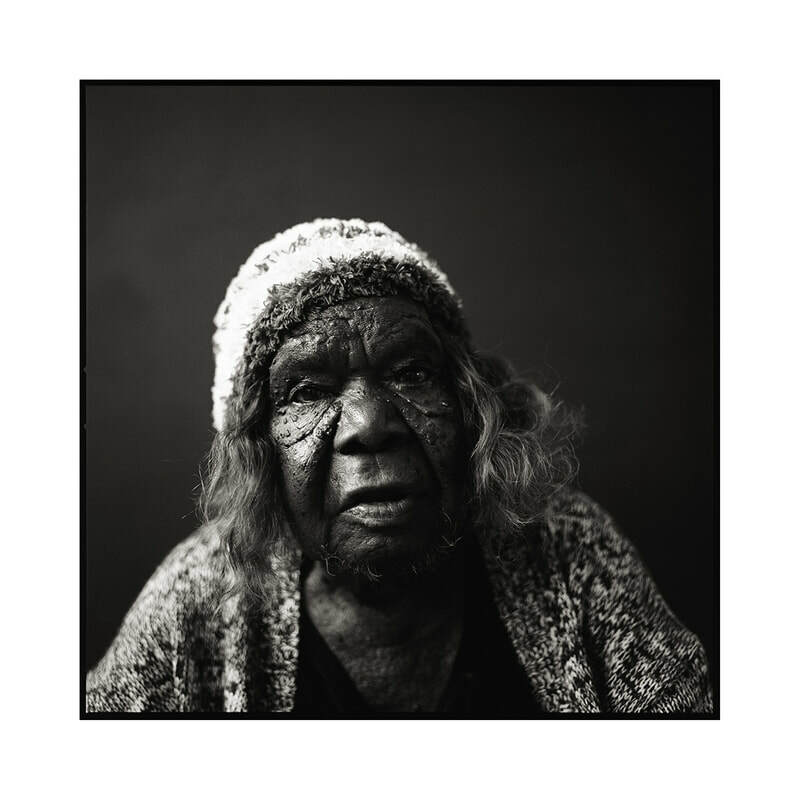 I have been lucky enough to have three of my film portraits acquired by the National Portrait Gallery (Gill Hicks - 2016, Linda Napaltjarri - 2017 and Wentja Napaltjarri - 2017). My portrait of Zoe with Can won the Photographic Portrait Prize in the inaugural RSASA Portrait Prize. Two of my portraits made the final jury round of the International Portrait Prize in Paris two years running. 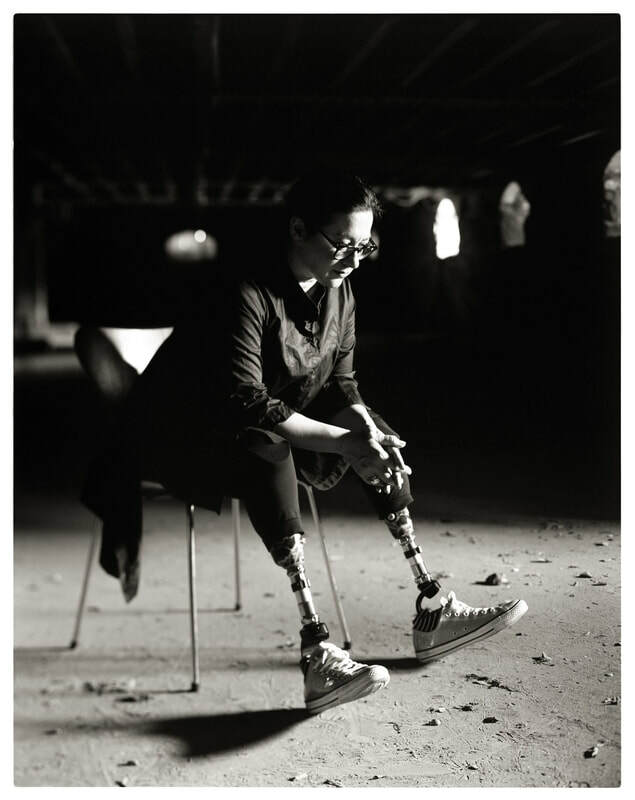 Gill Hicks, acquired by the National Portrait Gallery in 2016. Tmax100 4x5 sheet film loaded into Graflex Speed Graphic with 1940s Kodak Aero Ektar 178mm f2,5 lens. Linda Syddick Tjungkiya Napaltjarri, 2017. 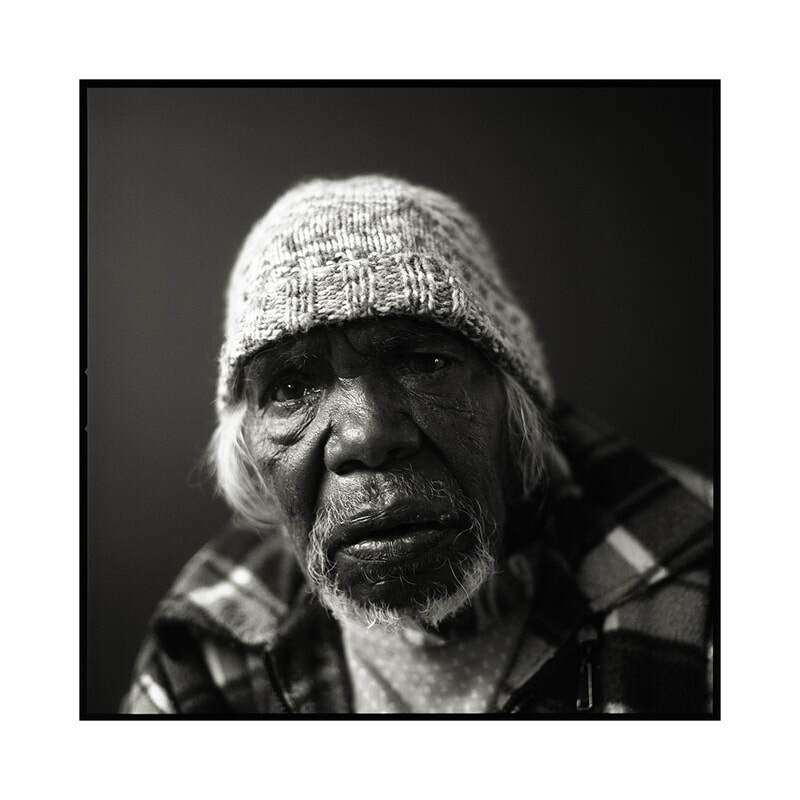 Shortlisted for the inaugural Ballarat International Foto Biennale Martin Kantor Portrait Prize. Acquired by the National Portrait Gallery, 2017 . Wentja Napaltjarri (Linda's sister), finalist in the 2018 Head On Portrait Prize, acquired by the National Portrait Gallery, 2017.